GH's Maurice Benard on Contract Talks: "If We're Going to Sign, Let's Just Do It"
Sonny Corinthos (Maurice Benard) was publicly outed as a cold-blooded murderer on General Hospital, during his ex-wife&apos;s botched wedding last week. What does that mean for the future of the iconic character and his portrayer, whose contract is up in December? "My contract is up in December, and we&apos;re talking. I&apos;m just happy to take it day to day. I&apos;m happy here. It&apos;s not about that. Usually, I have some strategy in negotiating, but maybe for the first time, it&apos;s simple." I&apos;m crossing my fingers, toes, eyes, you name it that Benard re-ups with GH. The Fall of House Corinthos has been incredibly compelling daytime drama. Sonny finally having to face the consequences of a life of violence, with his sons—principled police detective Dante Falconeri (Dominic Zamprogna); newly-vengeful corporate suit Michael Corinthos III (Chad Duell) and cut-from-the-same-cloth, heavenly hothead Morgan Corinthos (Bryan Craig)—all on opposite sides of the situation could easily drive story for five more seasons. Throw in Sonny&apos;s various wives, baby mamas and one awesome, amnesiac hitman of a best friend, and the possibilities are as endless as the amount of times Helena Cassadine (Constance Towers) can manage to cheat death! "I&apos;ve gotta be honest: If we&apos;re going to sign, let&apos;s just do it." Is Maurice Benard Really Leaving? 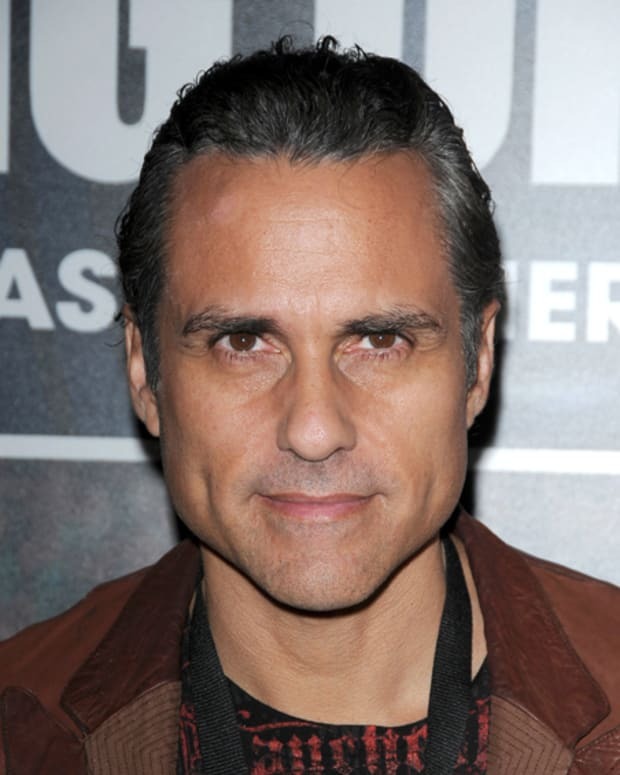 Maurice Benard On GH: "I Actually Didn't Want To Do Another Soap"